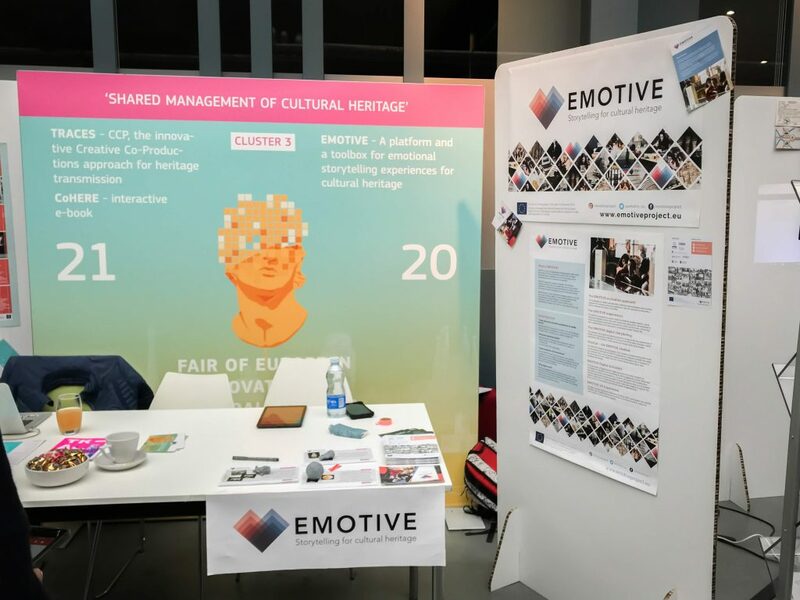 On 15-16 November 2018 EMOTIVE joined over 40 exhibitors in Brussels at the Fair of European Innovators in Cultural Heritage, a key event of 2018 European Year of Cultural Heritage. The event sought to highlight innovation and bring together innovators from across the cultural heritage innovation ecosystem. Participants engaged in presentations, talks and social gatherings and had the opportunity to join the 'Community of Innovators in Cultural Heritage' platform, an online portal dedicated to promoting innovation in the space. The Fair was a wonderful opportunity to see how the EU is promoting research & innovation in cultural heritage, fostering creativity and new connections across countries. The event built on the results of the 'Heritage and Innovation' conference and focused on the next steps and contributions to the EU Action Plan on Cultural Heritage. 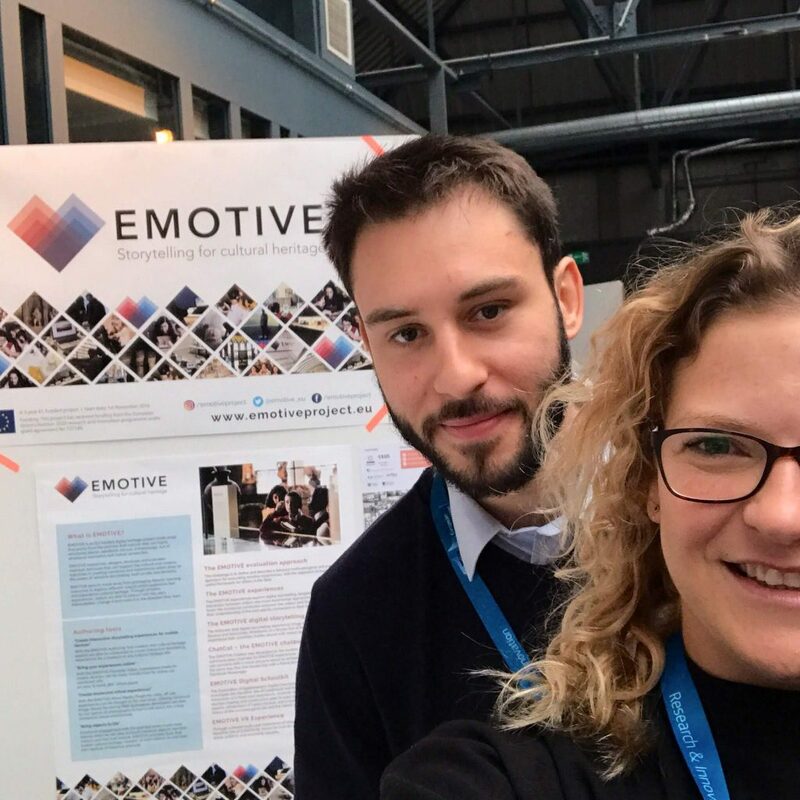 EMOTIVE had an exhibition booth at the Fair, which was managed by the project’s Communication Coordinator Karolina Badzmierowska (from partner, Noho) and EMOTIVE developer Loïs Brun (from partner, Diginext). 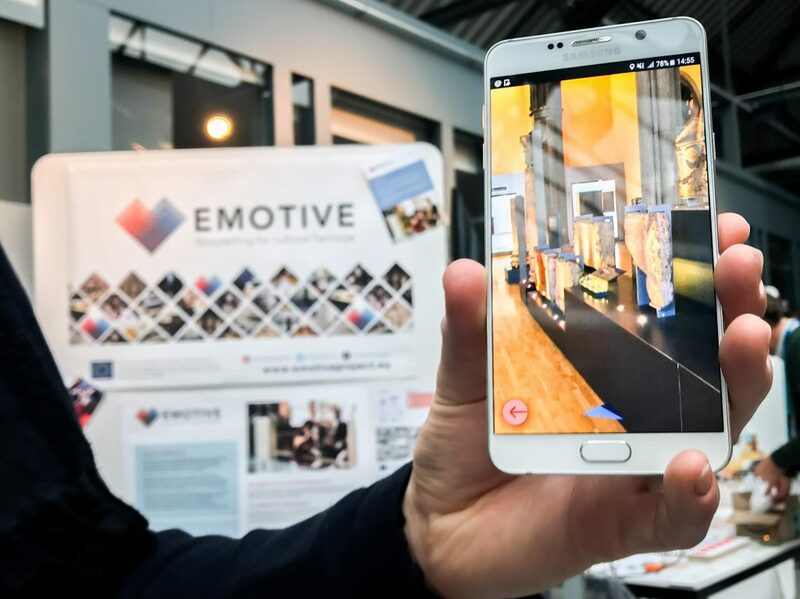 Karolina and Loïs introduced the EMOTIVE project to the Fair attendees, explaining its innovative aspects and demonstrating the EMOTIVE Authoring Tool and prototypes of some of the EMOTIVE experiences (for more on those, click here). On the second day of the Fair Karolina also took part in a breakout session titled 'Shared Management of Cultural Heritage'. This took the form of a rapid pitch (just four-minutes!) on EMOTIVE Innovations, followed by a lively panel discussion / Q&A session with contributions from attendees in the audience. Over the two days, we received much positive feedback from our conversations and made many new contacts across the cultural heritage space. The event was a great opportunity to meet old (and new!) friends among EU Cultural Heritage projects, such as the EMOTIVE collaborators ARCHES and Pluggy. Thank you to EU - and in particular the organisers of the Fair - for putting on such a valuable event!